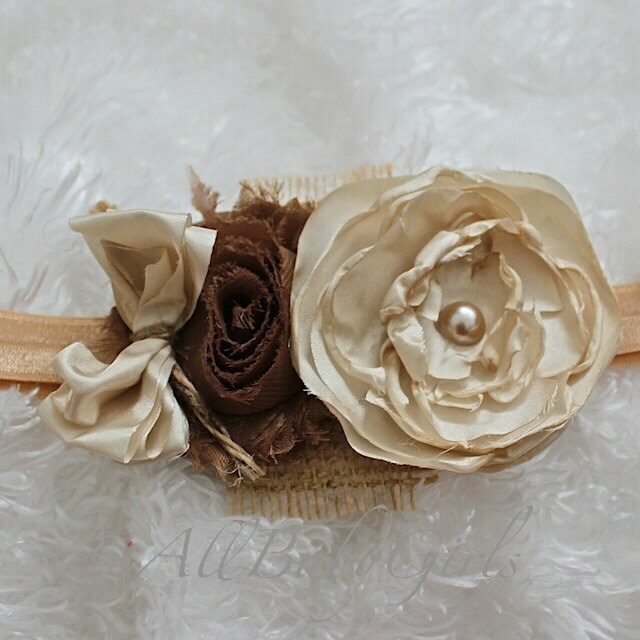 This Gorgeous Brown and Beige Flower Headband features two beautiful flowers, one 3" beige topped with a pearl and one 2" brown. 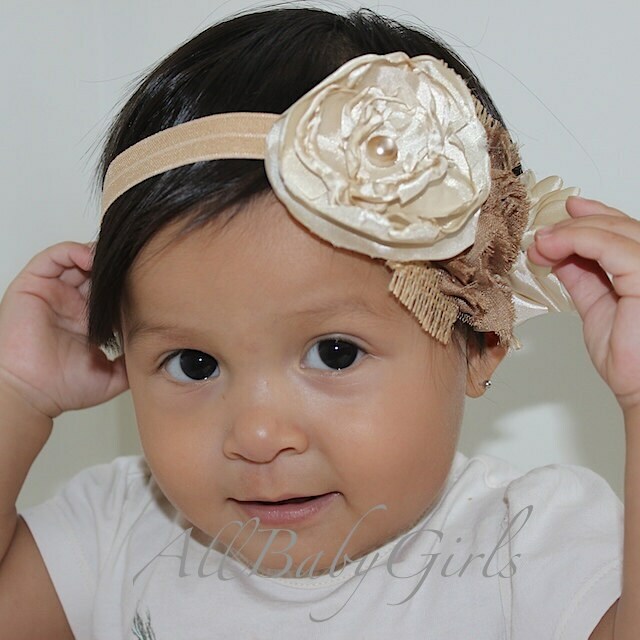 There is also a beige bow on one end. 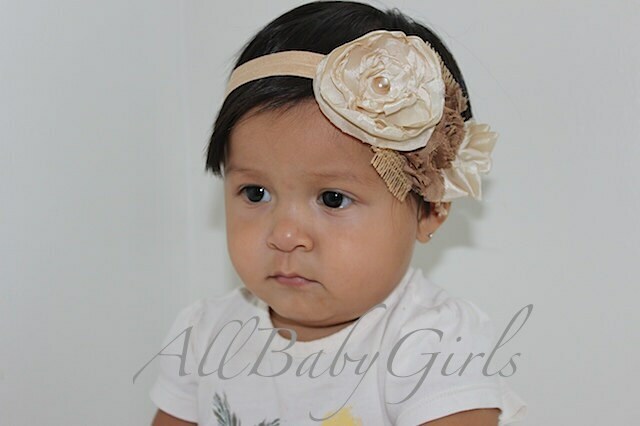 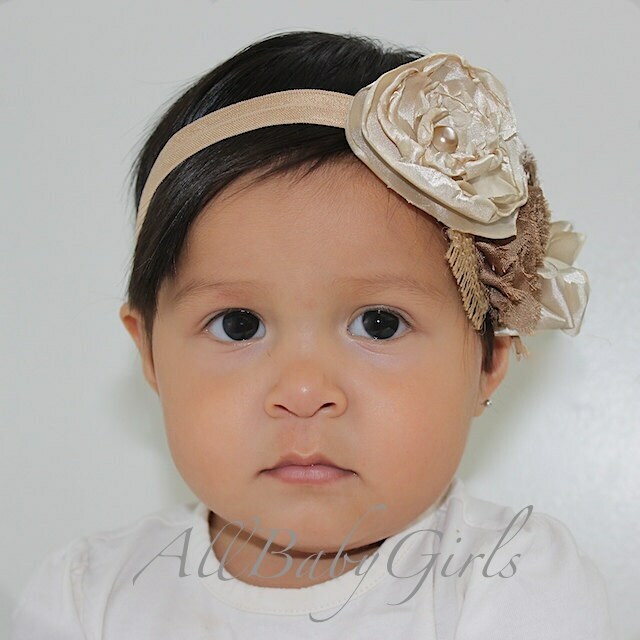 The flowers and bow are felt backed for comfort and sit on top of a soft matching elastic headband for a perfect fit.